Is the Polish Lowland Sheepdog right for you? Find your perfect match now! 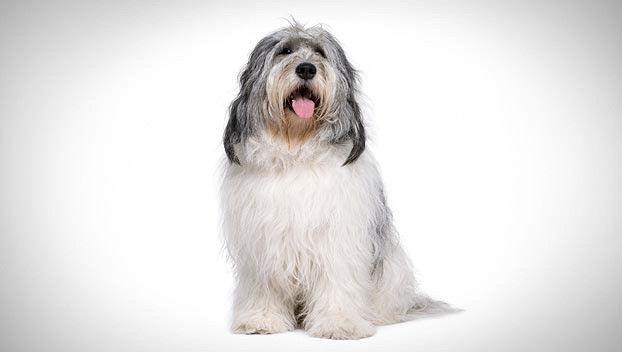 If you shrunk an Old English Sheepdog to half her size, the result would look a lot like a Polish Lowland Sheepdog. This breed is cheerful, clownish, and cute until she goes to work. When she's got a job to do, this independent thinker is all strategy, spirit, and stamina. Her possessive nature can also lead to petty thievery — this is the breed mostly likely to be cast as the Artful Dodger in Oliver Twist. If you can't find your shoe, check her secret stash of socks, dish towels, and other treasures. Originally from Poland, this medium-sized and medium-energy breed can grow to between 30-50 pounds and lives an average of 12-14 years. The breed is recognized by the American Kennel Club and classified as a member of the Herding group. WHAT IS A POLISH LOWLAND SHEEPDOG'S PERSONALITY LIKE? Fearlessly protective of their charges, the Polish Lowland Sheepdog is confident and clever. These dogs are often wary or suspicious toward strangers, but they are very affectionate and devoted toward their chosen people. Their energy levels mean it's best to supervise your Polish Lowland Sheepdog's play with children or other dogs. 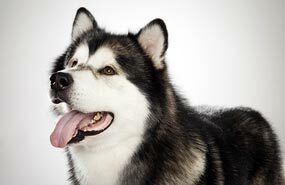 For the most part, though, this breed is gentle with kids and happy to play as long as your little ones want to. WHAT IS POLISH LOWLAND SHEEPDOG BEHAVIOR LIKE? This is a very active breed — athletic, muscular, and hardworking. Their alert natures make them great watchdogs. They're loud, frequent barkers, so be sure to discourage nuisance barking early and often. Polish Lowland Sheepdogs are playful and occasionally a bit pushy. HOW EASY IS IT TO TRAIN A POLISH LOWLAND SHEEPDOG? Let's be honest: you're going to have to work hard to convince a Polish Lowland Sheepdog that it should go along with any of your training malarkey. These dogs are smart, independent problem solvers who have their own ideas about things. The good news is that they have fantastic memories, so once your Polish Lowland Sheepdog has learned something, it stays learned. They're also congenial and eager to please. Start early, and be patient and consistent with this smarty-paws. She'll impress you in the end. HOW MUCH DO POLISH LOWLAND SHEEPDOGS SHED AND WHAT ARE THEIR GROOMING NEEDS? Polish Lowland Sheepdogs don't shed much, but their long, thick hair requires brushing every day to prevent matting and tangling. Plan to bathe them every month or so. WHAT HEALTH PROBLEMS DO POLISH LOWLAND SHEEPDOGS HAVE? As a breed, Polish Lowland Sheepdogs are generally healthy. Some may be prone to eye disease or hip dysplasia. ARE POLISH LOWLAND SHEEPDOGS GOOD FOR PEOPLE WITH ALLERGIES? Remember that no breed is 100% hypoallergenic, and any breed can aggravate allergies. The American Kennel Club doesn't list Polish Lowland Sheepdogs among its breeds recommended for allergy sufferers. You can reduce your furry friend's impact on your allergies with frequent baths and brushings to reduce loose hairs and aggravating proteins in your pet's dander. Use a damp cloth to wipe off your dog after you've been playing outside. Smaller dogs have less surface area, and so produce comparatively less dander than larger breeds — definitely something to keep in mind! WHAT IS A POLISH LOWLAND SHEEPDOG'S BEST DAY? Polish Lowland Sheepdogs want a job to do, whether that's rounding up stray sheep or collecting all the balls in the yard. Make them feel useful and wanted, and this dog is yours for life. SHOULD I ADOPT A POLISH LOWLAND SHEEPDOG? With enough exercise, a Polish Lowland Sheepdog can live just about anywhere. Just remember that “enough” equals “how much exercise this dog would get herding sheep all day.” That said, this breed makes a surprisingly good apartment dog and urban companion. As you'd expect from a dog with this much hair, Polish Lowland Sheepdogs are much more comfortable in cold weather than in warm temperatures. If you have access to an area that will allow this “pup-petual” motion machine enough time and space for rigorous daily play and don't mind daily grooming sessions, a Polish Lowland Sheepdog could make you “hairy” happy. Have you decided that a Polish Lowland Sheepdog is the perfect dog for you? Why not be your new best friend's hero and adopt a rescue! Be sure to check out our article on what to expect when you're adopting a dog or cat.